Draft2Digital (D2D) is an Oklahoma-based digital publishing aggregator providing conversion and distribution services for authors. The company was founded in 2012 and currently Kris Austin is co-owner and CEO. D2D is one of the more recent arrivals to the self-publishing service field and from some of the feedback I’ve had over the past year, it’s made some serious impact for all the right reasons. Much of this has been due to D2D expanding its distribution channels. There is further expansion on the horizon. Like Smashwords, D2D is free to upload a manuscript for conversion and distribution. Files can be uploaded in .doc, .docx, RTF and the process will also support the supply of a finished ePub file. D2D does not have a style guide or complex set of rules to prepare a manuscript for upload. The philosophy at D2D is to support the author’s style guide providing some basis rules are adhered to. Unless you already have one you like, skip the title page and copyright page. Don’t even write them. Just give us the story, and let us do the technical parts. Mark your chapter breaks with something distinctive, and be consistent. Make it centered and bold, or larger font, or use a Heading style. Do something to set apart your chapter titles, and we’ll do our best to recognize them. File output is in ePub, but you can download a mobi version for personal reading and file checks. The conversion also includes an ePub validation check, though, if necessary, D2D will also make minor alterations to a file to clear the validation process. Otherwise, authors will be advised of any errors. I was pretty impressed with the conversion results when I tested the automated D2D system. So what’s the story with the mobi file and distribution to Amazon Kindle? Therein is the first blip on an otherwise smooth road. D2D does not include Amazon Kindle in its distribution channels. Authors would need to download the mobi file and go to Amazon direct, much the way many authors publish e-books using Smashwords in combination with Amazon. But there is one nice, sneaky bonus. D2D include CreateSpace as a distribution option if authors decide they want a print version of their e-books. It’s a clever touch. The print option is initially limited to standard paperback format (8.5 x 5.5). To make the process as easy as possible for our users, we currently provide a one-size-fits-all format for CreateSpace. This means you can get a trade paperback with a single click, but we understand some users may prefer more fine-grained control. D2D will liaise with authors for additional formatting requirements available through CreateSpace. So, what are you getting for FREE with D2D in a nutshell? That’s pretty impressive for FREE. Let’s drill down into some of those details. Yup, it’s a little thin compared to some other competitors but Kris Austin has assured D2D authors that more channels will come online shortly. The company is currently in discussions with Google, Flipkart, Overdrive and Ingram. I definitely think this is the next critical step for D2D. Like most publishing services there is always a payment ceiling which must be reached before a monthly payment will be made to the author. D2D set it at the standard $25 (you need to hit this in royalties before D2D releases the payment). On the plus side, payments will be made via cheque, PayPal or direct bank transfer, and that is the kind of flexibility many other competitors don’t offer. The author sets the price of his/her e-book and it can be set as low as $0.00 (for some channels). D2D is also due to introduce territorial pricing (different retail pricing for different sales zones), much like Amazon KDP. D2D’s terms of service can be found here. One area D2D need to be a great deal more transparent about is providing a proper online table or royalty breakdown. It’s all very well to say ‘we pay 85% of NET’ but that NET is going to vary depending on the retail channel. For example, Apple takes 30% of the retail price, leaving 70% to be split 85/15% in favour of the author and D2D. This actually works out at about 60% of the retail price for the author. Some retailers may also strike different deals with e-book aggregators. So, for the most part, D2D pays 60% on retail price for most of the channel, but I really need to see that in black and white from D2D. The company knows what deals it strikes with each channel and that should be set in stone and presented in a table online without any wishy-washy math. The only example I could find on the D2D website was for iBooks. That’s simply not good enough. Sales reports show detailed information concerning sales that occurred during a given month, so your June sales report details copies of your book bought during June. Royalty statements likewise show royalty payments made to you during a given month. The confusion comes from the delay between the time when sales are made (June) and the time when Draft2Digital receives royalties for those sales (July or August). So the payments shown on your June royalty statement might more closely match up with data from your April sales report. D2D does not charge authors to update book files with corrections, be it the book’s content or the book project data, and that’s a big winner for self-published authors. Authors can also choose which channels to use for distribution by switching them individually on or off. D2D is a conversion and distribution aggregator. It does not provide editing, design and marketing services. The company does have a verified list of third-party professionals should an author require further assistance. TIPM has had very positive feedback regarding D2D’s support services for authors (email and phone). There is an elegance and simplicity about D2D. Could an author earn more by dealing directly with retailers like Nook, Kobo and Apple? Absolutely! Cut out any middleman and you are going to increase your profit. But the business of self-publishing is changing, just as the publishing industry is. Authors want simplicity and ease of publishing. D2D delivers that in a nutshell. Authors frustrated with Smashwords will find D2D much less of a headache. No, they won’t get the same reach in distribution, but D2D is improving this area. Authors with complex books with heavy illustration may be wary of loading a book to D2D, and might find Bookbaby a better option with more handholding. But for the most part, D2D manages to appeal to a broad section of self-published authors in the right way. It’s rare to find a publishing service provider’s website that answers almost all questions in one place. It’s not often when that comes free and without effort and research. Unlike many service providers, D2D has little skin in this game. The money the company earns comes from helping authors sell books, not services. Otherwise, D2D gets nothing with any upfront charges. D2D is a breath of fresh air, but it isn’t perfect. Considerable work still needs to be carried out to get more distribution channels on board. Some work also needs to be done to reflect its royalty charges paid to authors. I also wonder how having more diverse distribution partners on board will affect its business model in the future. The more work D2D has to take on or adapt to when enticing new distribution partners will determine how much and how long ‘free’ to authors will last. Just this month Bookbaby discontinued its freemium offering. Something for nothing comes to mind when you examine D2D. In this case, you get a hell of a lot for the percentage you cede on every book sale. Without a doubt, D2D is the best company I have reviewed this year for the market it targets. 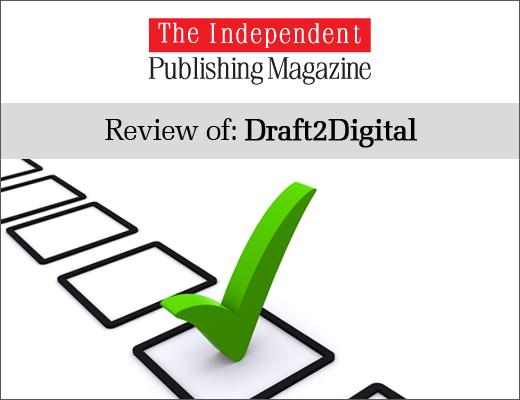 Great review on Draft2Digital. They have come a long way in a short time, and the hard work has paid off. I definitely agree with your assessment–they are one of the premier ebook distributors. Thanks, Jim. I certainly was impressed with their set up and how they have developed. Does D2D allow you to set a discount?